When it comes to quirky visual novels, the Danganronpa series takes the cake. 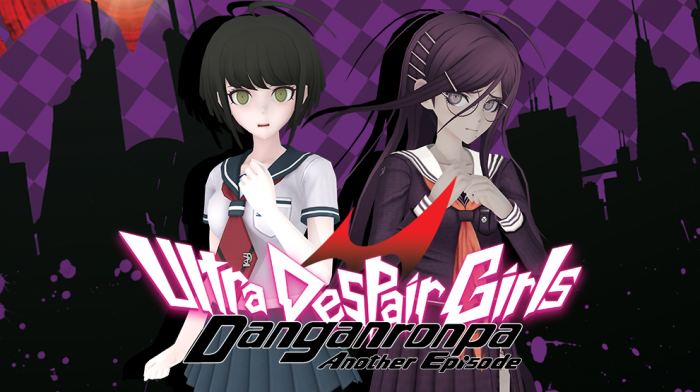 The first two games in the series came to the PS4 earlier in 2017, and now PS4 players are also getting the opportunity to try out the third-person shooter spin-off entitled Danganronpa Another Episode: Ultra Despair Girls. Originally a title for the PlayStation Vita, this spin-off has you playing as a newcomer to the series who teams up with a familiar face to survive the chaos of a world that has been plunged into ultimate despair. Does this game elevate the series to new heights, or should it be labeled as the Blackened in the next class trial? Time fo find out! While you can jump into this one, everything makes a lot more sense if you've played the first game. In Ultra Despair Girls, you play primarily as Komaru Naegi, who emerges from a locked room into a very different world than the one she remembers. Towa City has been overrun by Monokumas, strange bear-like robots who kill without discrimination. It's pure chaos as bodies line the streets and the world is seemingly falling apart all around her. Komaru quickly comes across a familiar face who sets her up with a weapon that looks a lot like a megaphone. It can be used to fight back against the Monokumas with a variety of ammo. Not too long after, she meets up with Toko Fukawa, who fans of the first game will also know as Genocide Jack. 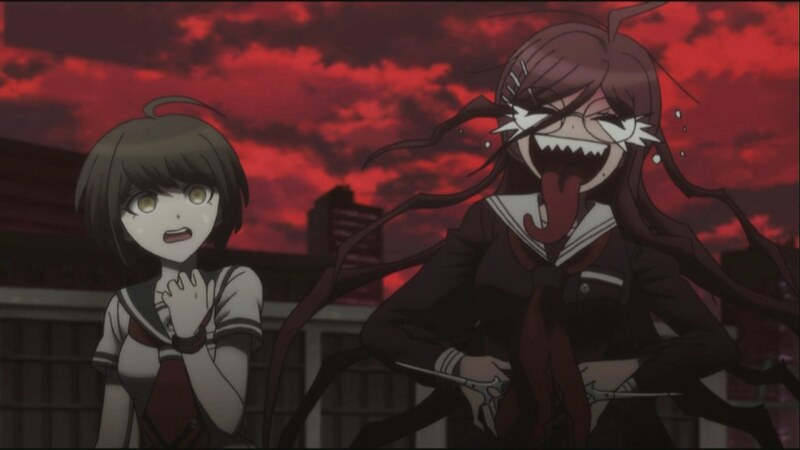 Toko seems to know more about what's happening than she lets on, but she joins up with Komaru and together they seek to either escape the city or get to the bottom of what's going on. While the pacing of the story is a little slower that fans of the main series are used to, the quality of the writing is still top-notch. Komaru is a great contrast to Toko/Genocide Jack. While Komaru is reserved and considerate, Toko is cynical and pessimistic. Their banter is great, and it actually gives fans a chance to get to know Toko better than ever before. In the first game she mostly kept to herself, but here we get to see more of both her and her alter ego. Not only that, but there are some hilarious moments where she fantasizes about her "master." Fans will know exactly who I'm talking about. In true Danganronpa fashion, the story also manages to tread across some pretty horrific ground while somehow maintaining its irreverent style throughout. Without giving away too much, the villains of Ultra Despair Girls are a twisted bunch who each have their own story that drove them to enact their ultimate plan. While the game forgoes the class trials for boss fights, there's still a good amount of character development for each of them as the story goes on, and they definitely have the classic eccentric nature you would expect from the series. It took a few chapters, but once Ultra Despair Girls started rolling, I was hooked. It's absolutely a game made for fans of the series, with all kinds of nods to the original game and some answers to your burning questions. The gunplay takes up most of the time, but there are some extended scenes of dialogue, some 3D cutscenes, and a smattering of anime cutscenes that are excellently done, so the way the story is delivered here is more varied than the traditional visual novel approach. Fully voiced characters also add a nice touch. They even used the same actors from the main game, so it really feels like a cohesive part of the universe. While it's not going to top the excellent stories in the main entries, it's a worthy addition with plenty of shock, horror, and glorious twists. When I first heard that Danganronpa Another Episode: Ultra Despair Girls was a shooter, I was both curious and confused. On the one hand, it's a bold direction for the series, but on the other hand, I loved the visual novel structure and class trials of the main series. While the upcoming third entry in the series is sticking to its roots, Ultra Despair Girls takes a completely different approach. The world is rendered in full 3D, as opposed to the 2D portraits of the main series. During dialogue, these detailed characterp portraits still make their debut, but the main gameplay uses a smooth and simple 3D style. It's certainly cool to see your favorite characters rendered in 3D, but I still like the 2D portraits, if only because of their attention to detail. Having the mix is a nice balance. You can move and shoot whenever you'd like with your hacking gun. It can be loaded with several different types of Truth Bullets that can damage the Monokumas that attack you. As expected, the glowing red eye is the weak spot on your enemies, giving you a spot to aim for. Standard bullets do damage to Monokuma, but new additions come as the game goes on. Move bullets, for example, can activate switches and elements in the environment, while dance bullets make Monokuma break out in a wild dance number. While I only stuck to a few bullets for most combat encounters, they each have their uses in specific situations. The enemy types also vary. While they are all Monokumas, they come in a variety of flavors. Standard Monokumas are joined by armored ones, bomb variations, beast Monokumas, and more. Each type of Monokuma requires a different strategy and some of them can even be used to damage other enemies. The enemy variety goes a long way towards keeping the action from feeling repetitive, but I wish there were more Truth Bullet types. New options come slowly and despite the enemy types being varied, you go a little while between seeing new ones. The shooter gameplay is fine, but there's not spectacular about it. For being a young and nimble girl, Komaru also controls a little slow, making it hard to effectively dodge attacks, even with your sprint. When your meter is charged up, however, you can switch to Genocide Jack with the press of the triangle button. This gives you control of the killer and allows you to slice and dice your enemies with her iconic scissors. While she doesn't have a huge move set, it's very satisfying to cut through a crowd of Monokumas as Genocide Jack cheers and cackles. Certain combat encounters offer an added challenge where you can view enemy placement before you enter a room. Solving the environmental puzzle and killing them all in one hit offers a bonus. There are puzzles as well, and while they're pretty clever, they don't come around very often. Collectibles also make an appearance as well, but again they're not a huge focus. Perhaps the thing I miss the most is the class trial mechanic, but they wouldn't make too much sense in this story. Instead, we have some pretty cool boss fights. They're no replacement for the trials, but they do each require a different strategy to defeat. When it's all said and done, I won't say I didn't have a blast destroying hordes of Monokumas with slicing through them as Genocide Jack, but it wasn't a superior experience to the main series. Instead, it was an interesting take on the universe, and since the quality of the story was still up to par, I didn't mind the shift in gameplay. The presentation in Danganronpa Another Episode: Ultra Despair Girls is a mixed bag. Since the game originally came out on the Vita, the in-game graphics are pretty simple. The 2D character portraits and anime cutscenes are exquisite like always, which makes the 3D content stand out even more. There's nothing inherently wrong with it, but it lacks detail when compared to other aspects of the presentation. Many of the environments are open and empty spaces that feel like they're missing something. There are exceptions to the rule, but on the whole, the environments have a large scale to them compared to the first game, but lack the same detail as a result. Beyond this, the voice acting is still great, the writing is excellent, and the characters are an eccentric and crazy as ever. 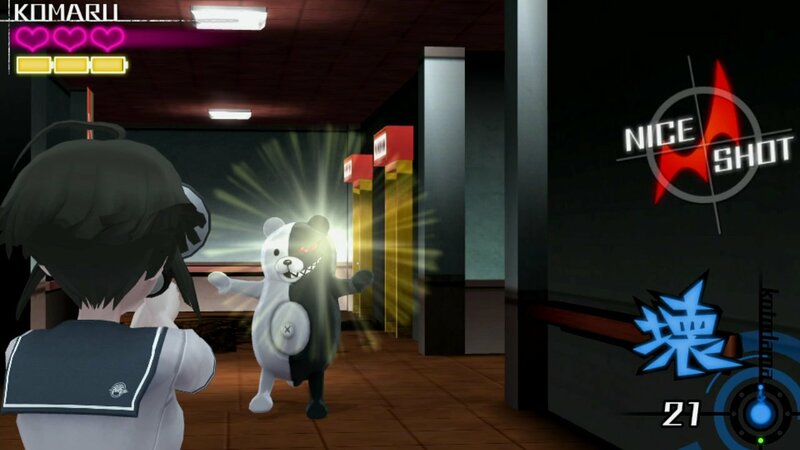 While it doesn't top my love for the main games in the series, Danganronpa Another Episode: Ultra Despair Girls managed to carve a Monokuma-shaped hole in my heart right next to the other entries in the series. For fans of the series, it's a no-brainer. For those interested, I would recommend playing the first game, but even if you decide to jump right in, you'll find that this game offers a healthy dose of mystery, intrigue, horror, and of course, despair.